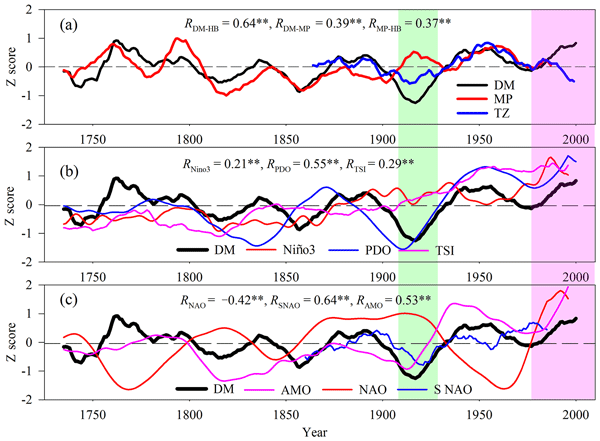 We investigated the decadal variations of extreme droughts and floods in North China using a 17-site seasonal precipitation reconstruction from a unique historical archive. 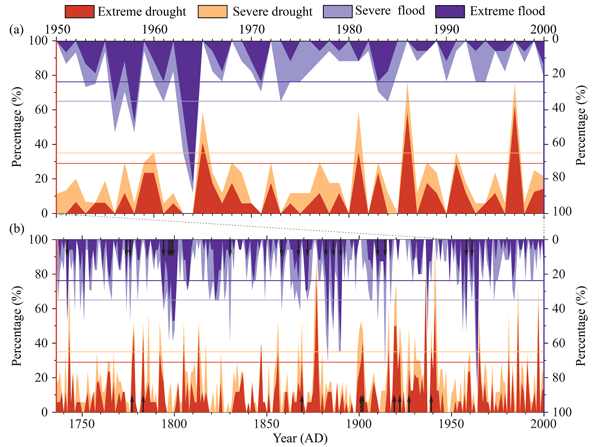 Then, the link of extreme droughts and floods with ENSO episodes and large volcanic eruptions was discussed. 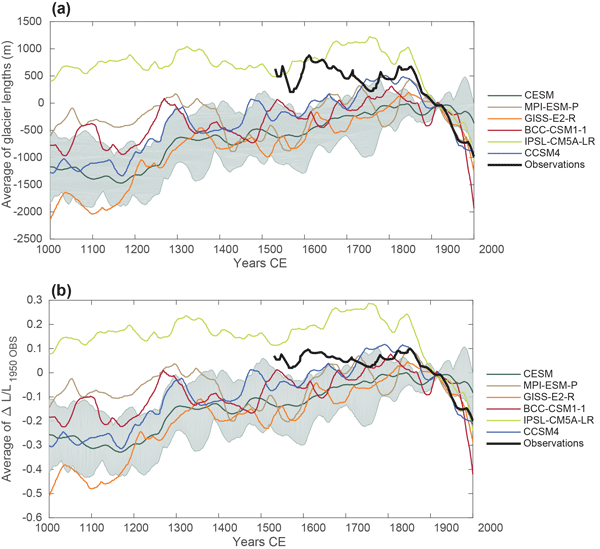 This study helps us understand whether the recent extreme events observed by instruments exceed the natural variability at a regional scale, which may be useful for adaptation to extremes and disasters in the future. The mid-Cretaceous (ca. 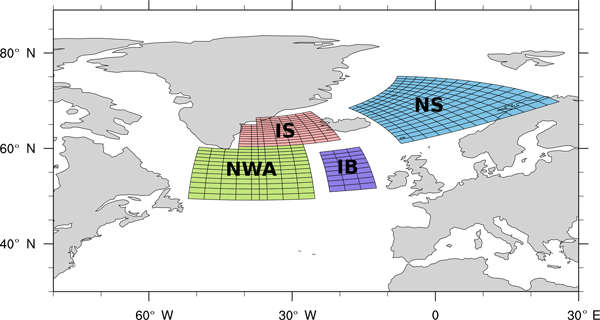 121 to 94 Ma) was characterized by a generally warm climate punctuated by supra-regional to global phenomena of widespread ocean anoxia. 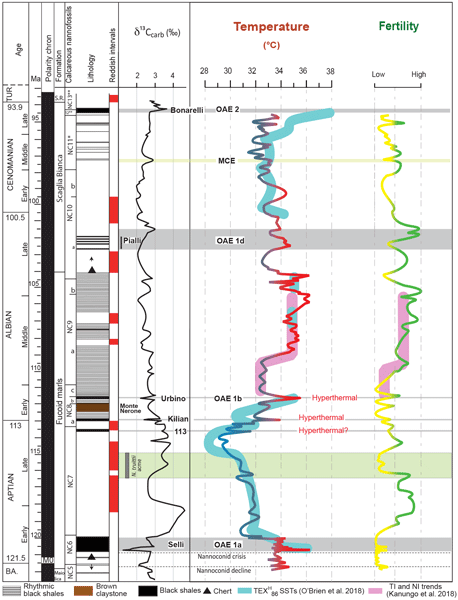 In this work we present the first complete record of temperature and fertility variations through the mid-Cretaceous in the western Tethys based on calcareous nannofossils. 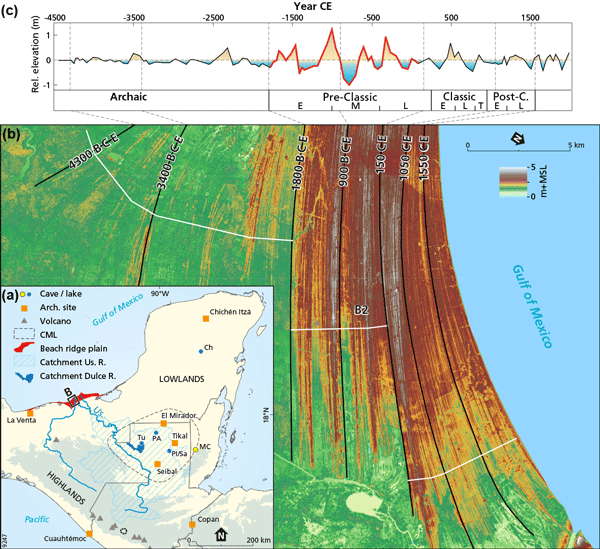 The new record indicates that temperatures and fertility were rather fluctuating but mostly independently, and they were not systematically associated with anoxia. 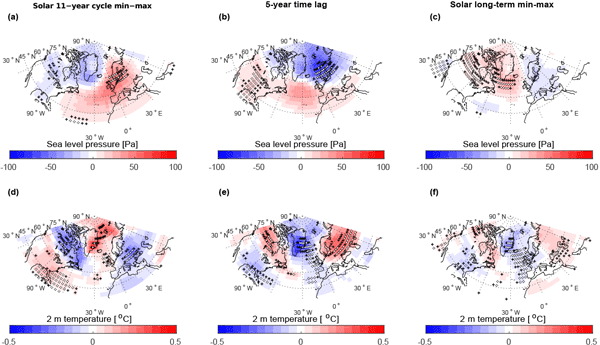 This paper presents a 260-year tree-ring-based PDSI reconstruction for the central Daxing'an Mountains, northeast China. 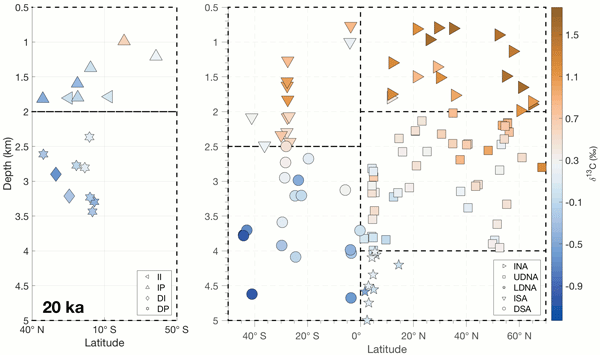 A warm–wet pattern was identified for the Daxing'an Mountains in recent decades, while a warm–dry pattern was found for the Mongolian Plateau. 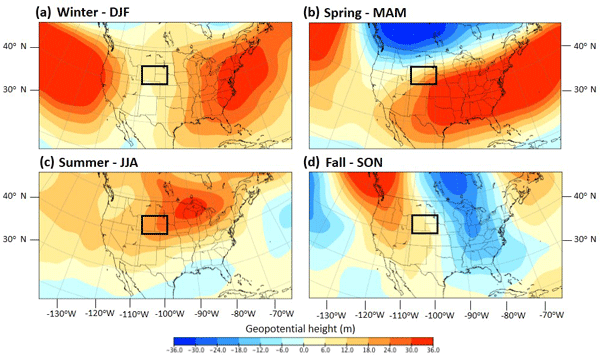 Overall, the dry/wet variability of the Daxing'an Mountains and its relationship with the surrounding areas might be driven by Pacific and Atlantic Ocean oscillations.